Through the years the soft rubber bushings deteriorate after constant flexing and vibration as well as being punished through weathering; this can cause them to tear and may seriously damage your engine and transmission. 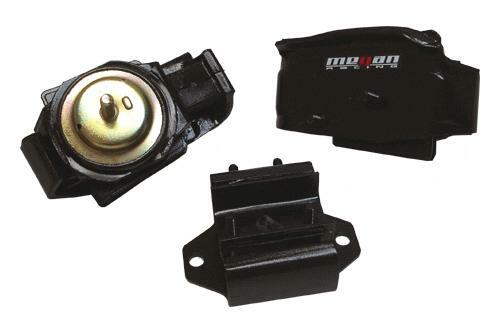 Megan Racing has developed a Hard-Rubber/Polyurethane motor mounts for the your powerplant. 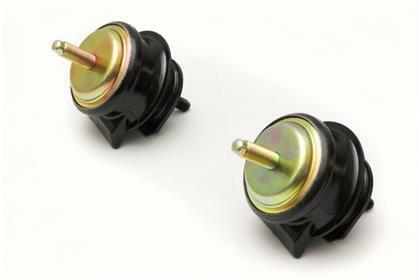 These reinforced mounts are perfect for the enthusiast who is looking to get the most from their vehicle as they will allow more energy to be transfered to the wheels instead of absorbing the energy into the soft rubber.